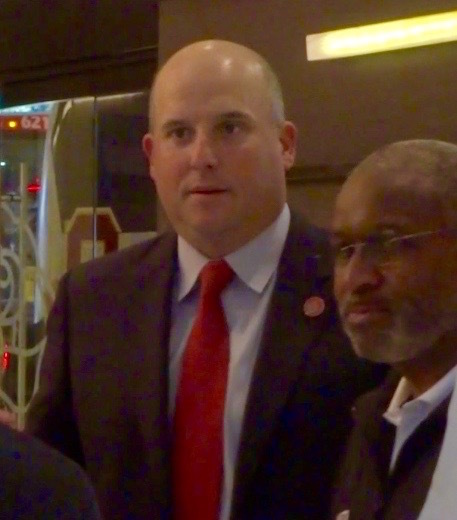 Below is iFolloSports.com original video of USC Trojans head football coach Clay Helton entering the lobby of the L.A. Hotel Downtown, as his team arrived at 2017 Rose Bowl media day. This link provides a glimpse of Helton’s USC players making their way into the hotel shortly after. During the week leading up to the 103rd installment of the Rose Bowl, USC is hanging their helmets at the nearby Omni Los Angeles Hotel at California Plaza, while conducting practice on the USC campus, located three miles south of the media day hotel. Looking back just three short months ago, the thought of Clay Helton leading his team to a Rose Bowl berth might be considered nothing short of blasphemy. After a September 23 loss to Utah, USC stood at a horrific 1-3, meaning that Helton’s career record at the school was a mere 7-7. While some football programs would be more than happy with a .500 mark, 14 games into a coaching tenure, when a university owns 11 claimed national champions, expectations are just a wee bit higher. As a result, USC was frequently mentioned (along with LSU, Texas and Oregon) on the list of high profile coaching jobs that may become available at the end of the season. While the Tigers, Longhorns and Ducks did end up making a change, the USC post is no longer available thanks to Helton’s 8-game winning streak to finish 2016. As the new year approaches, the 44-year-old Helton can now comfortably look forward to a future that includes a reasonable level of job security, amid a roster led by star redshirt freshman Sam Darnold. A once murky outlook suddenly appears a whole brighter. USC fans can check out multiple behind the scenes looks at Trojan players past and present, courtesy of iFolloSports.com original content.